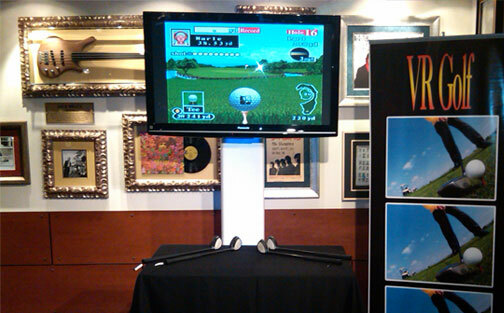 We provide your guests with a hi-tech foam coated golf club. 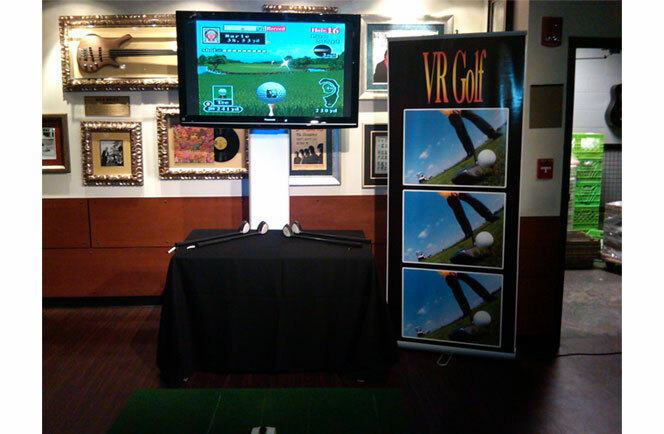 As the player swings the golf club, the ball travels on the giant screen. Includes golf instructor, several courses and a driving range.